Stretch Point State Park is a public recreation area occupying eight acres (3.2 ha) of land on the northern tip of Stretch Island in Mason County, Washington. The state park is only accessible by boat and is administered as a satellite of Jarrell Cove State Park. ^ a b "Stretch Point State Park". Geographic Names Information System. United States Geological Survey. ^ "Commission Policy 72-14-1 Naming of Parks..." Washington State Parks and Recreation Commission. March 27, 2014. Retrieved August 9, 2016. ^ "Marine Protected Areas in Washington" (PDF). 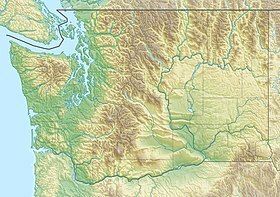 Washington Department of Fish and Wildlife. December 2009. p. 40. Retrieved August 9, 2018. ^ "Stretch Point State Park". WillhiteWeb.com. Retrieved August 9, 2018. ^ "Jarrell Cove State Park". Washington State Parks and Recreation Commission. Retrieved August 9, 2018. This page was last edited on 12 November 2018, at 07:59 (UTC).